Dell announces the technology industry's first shipment of ocean plastics packaging, the result of an innovative, commercial-scale pilot program. Dell recycled plastics collected from waterways and beaches for use in the new packaging tray for its Dell XPS 13 2-in-1, building on Dell's broader sustainable supply chain strategy. In 2017, its ocean plastics pilot will keep 16,000 pounds of plastic from entering the ocean. Dell will transition its award-winning XPS 13 2-in-1 to ocean plastics packaging beginning April 30, 2017. The company also will include educational information on its packaging to raise global awareness and action on ocean ecosystem health solutions, an area of shared interest between Dell, its Social Good Advocate, Adrian Grenier and the Lonely Whale Foundation. To help ensure the packaging does not end up back in the oceans, Dell will stamp each tray with the No. 2 recycling symbol, designating it as HDPE (which is commonly recyclable in many locations). Dell's Packaging team designs and sources its product packaging to be more than 93 percent recyclable by weight so that it can be reused as part of the circular economy. "Model My Watershed: A Tool for Water Resource Management"
The Webcast will provide background on the tool, will demonstrate the tool, and will highlight how this tool is being used by several states and others for their total maximum daily load, nonpoint source, and municipal stormwater programs. Local watershed organizations, municipal leaders and others are invited to sign up for these free, online webcast training sessions. Attendees must register in advance to participate in webcasts. During the webcasts, trainees log onto the web to participate in live training conducted by expert instructors. Your computer must have the capability of playing sound in order to attend the webcasts. The Watershed Academy offers a certificate to those who attend webcasts. Streaming audio versions of past webcasts are available. EPA's WIFIA program will host two webinars for prospective borrowers that will explain the process for submitting and evaluating WIFIA letters of interest. These webinars will be held on Thursday, February 9, 2017 at 2:00-3:30 p.m. ET and Tuesday, March 7, 2017 at 1:00-2:30 p.m. ET. To access the webinars, register in advance for either the February 9 or March 7 webinar. Pave the way for successful applications to the program. The ecosystem impact of microplastics, a type of land-based marine debris that includes particles less than 5 millimeters in size, is of growing interest in the Great Lakes and other inland waters. Microplastic pollution in freshwater systems is still an emerging science and researchers have just begun to describe its scope, abundance, and distribution. There is still much to be learned about its long-term effects, including impacts to aquatic food webs. Since 2012, Illinois-Indiana Sea Grant (IISG) has been working to conduct and fund research and educate the public about microplastic pollution. IISG is dedicated to supporting continued research on emerging contaminants such as microplastics, and recognizes that there is a need for more information to determine the long-term effects of this pollution on Midwestern lakes and rivers. This seminar will discuss freshwater microplastic sources and types, relevant chemical and physical properties, and potential impacts, as well as provide an overview of the work done by IISG to address this emerging contaminant. This webinar will be broadcast live and also archived on ISTC's website, www.istc.illinois.edu, for later viewing. If you cannot attend the event at ISTC, you may view the webinar live by registering at: https://attendee.gotowebinar.com/register/5431323938809870850. ISTC is a part of the Prairie Research Institute at the University of Illinois Urbana-Champaign. Forklifts and other powered industrial trucks are some of the most common – and most powerful – pieces of equipment in industrial workplaces. With this power, comes the potential for serious hazards. Effective training and operator evaluations help reduce and eliminate hazards. However, the regulations are vague in some cases. This webcast will provide an overview of OSHA's forklift training and evaluation requirements, answer frequently asked questions, and share some real life experiences. The webcast will cover:    • Trainer qualifications  • Training program content  • Refresher training and evaluation  • The importance of training  • When training is not the answer  • And much more. Sustainability Live Webinar - Are Pyrethroid Insecticides a Threat to Aquatic Non-Target Species? Pyrethroid insecticides are currently used for pest control in terrestrial environments in both agricultural and urban areas world-wide, but often their residues are transported to aquatic systems through runoff events. These insecticides are hydrophobic so they tend to associate with the organic carbon portion of sediments and mortality has been linked with sediment pyrethroid residues. Special concern has been raised about the impacts of pyrethroid exposure in urban environments. In addition, several field populations of the freshwater amphipod, Hyalella azteca, from pesticide-exposed waterbodies demonstrate resistance to pyrethroid insecticides. If resistant H. azteca experience pyrethroid exposure, one of the possible consequences is bioaccumulation, which increases the potential for transfer of pyrethroids from the resistant individuals to higher trophic level organisms. This presentation will address how prevalent pyrethroids are in the aquatic environment and whether they are detected at high enough concentrations to cause harm to non-target aquatic species. It will also detail results concerning the potential for transfer of pyrethroids from resistant individuals to higher trophic level organisms. This webinar will be broadcast live and also archived on ISTC's website, www.istc.illinois.edu, for later viewing. The focus of the incident management process, as well as other processes used to communicate risk, has evolved over the years. Getting a high level of engagement from the workforce to increase risk communication has been a challenge especially where historical lack of follow up or uncertainty about what constitutes a valid event has prevailed. To address these and similar challenges, many asset-intensive organizations have embedded risk evaluation into their incident management process, leading to improved data quality, engagement, and process execution. Using risk to help your organization better define an event and the associated follow up will allow you to make focused improvements and better predict performance throughout your operating assets. • A perspective on the incident management reporting process maturity curve. • The challenges other companies in the industry are facing with respect to a high incident management reporting rate. • Business reasons why it can help to incorporate risk ranking into the incident management process. • Safety professionals interested in increasing safety performance within their organizations. • Safety professionals struggling with the challenge of prioritizing corrective actions. • Safety professionals struggling with a high amount of questionable reporting data. H.R. 998 SCRUB Act - review existing federal regulations and to identify those that should be repealed to reduce the cost of regulations on the economy. H.R. 998 would establish a commission to review existing federal regulations and to identify those that should be repealed to reduce the cost of regulations on the economy. Emma Kohs: In March 2011, a magnitude 9.0 earthquake rocked the eastern Japanese coastline, causing 100-foot waves, massive damage, and nuclear meltdown at the Fukushima-Daiichi plant. The following day, the U.S.S. Ronald Reagan arrived near Fukushima to carry out Operation Tomodachi ("friend"), a $90 million humanitarian assistance operation. In a class action lawsuit filed in the Southern District of California, U.S. naval service members and their families allege that they were exposed to dangerous levels of radiation during this operation, and seek damages from the Tokyo Electric Power Company (TEPCO), which owned and operated the six-reactor nuclear plant. District Judge Janis Sammartino initially dismissed the suit as non-justiciable under the political question doctrine, but allowed an amended complaint to go forward. TEPCO appealed the denial of its motion to dismiss to the 9th Circuit. This case thus touches upon strong U.S. interests, both because of our Nation's enduring relationship with Japan, a longstanding and essential ally, and because plaintiffs in this action are members of the U.S. military allegedly harmed while deployed on a humanitarian mission, and their family members. At the request of the 9th Circuit, the United States entered the case in December as an amicus to clear up questions at stake relating to the U.S. interests. During oral argument last September, TEPCO's counsel had suggested that the U.S. government's interests favored dismissal of the case in preference for a Japanese forum, consistent with a general policy of centralization of claims for nuclear third party liability in the country in which an accident has occurred. The panel seemed skeptical about this suggestion. In fact, though the U.S. government's brief was in support of neither party, it urged deference to the decision below, stating "[t]he United States has no specific foreign policy interest necessitating dismissal in this particular case." In light of this development, the court granted both parties an opportunity to submit supplemental briefs in response and has not yet issued an opinion. The U.S. government's brief walks a fine line, at times reading more like a diplomatic statement than a legal argument, extolling Japan as a "valuable partner" and "one of the United States' most important economic partners and strategic allies." Still, it notes that the Japanese compensation system is not "exclusive on its own terms," and that the court below could have reasonably concluded that an interest in "providing U.S. service members a U.S. forum for their claims" outweighed the interest in resolving all claims in Japan. U.S. courts should not undermine the carefully calibrated public policy reflected in the legislation passed by the Japanese Diet establishing the nuclear accident compensation system. The irony of the situation is that this U.S. lawsuit against TEPCO is possible only because the Government of Japan, as part of its compensation system, ensured TEPCO's solvency, including by providing ongoing funds for damage payments. The panel will be required to weigh these national interests in its international comity analysis, but there are other factors to consider. In its brief, TEPCO argued four separate grounds for dismissal—two aimed at attacking the forum, and two at attacking the underlying tort claim as either non-justiciable or barred by a defense. General Electric (GE), a defendant in the class action but not a party to the appeal, filed an amicus brief suggesting an additional jurisdictional barrier: the Convention on Supplementary Compensation for Nuclear Damage (CSC). If the 9th Circuit panel finds any of these five arguments compelling, it may direct the district court to reconsider TEPCO's motion to dismiss. 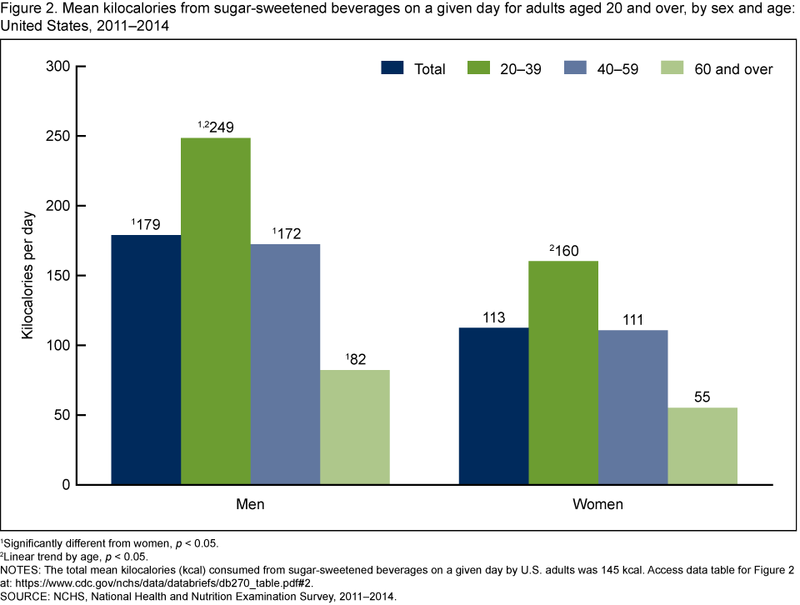 Young adults had the highest mean intake and percentage of daily calories from sugar-sweetened beverages relative to older adults. Old men drink the most? ​We all hear words like "big data," "data scientist" and "predictive analytics." What do they really mean and how can they help predict incidents and drive prevention? We also will also discuss the importance of meaningful engagement and how it helps drive predictive models. In this webinar we will clearly define the role of a data scientist. We will dive into how they use their skill set and create meaningful predictive models based on leading and lagging indicators. We will discuss how these models lead to actionable risk prevention outputs. You will learn how companies with highly evolved safety cultures and programs are able to provide a high level of insight -- even to the point of being able to predict and prevent workplace injuries. The U.S. Occupational Safety and Health Administration has issued recommended practices for temporary workers and issued bulletins on such topics as hazard communication, bloodborne pathogens, and powered industrial truck training. This webinar will review "TWI Bulletin No. 5: Hazard Communication," which requires employers to provide information and training to their employees about the hazardous chemicals to which they may be exposed in the workplace. Workers have the right to all pertinent information that will enable them to work with or around such chemicals in a safe manner, and employers must maintain a written hazard communication program at work sites. This webinar qualifies for 1.0 legal hour of continuing education toward maintaining your ASA credential. Through its alliance with OSHA, the American Staffing Association will host a free webinar Feb. 28 at 3 p.m. ET on "Communicating with Workers about Hazardous Materials." The webinar will focus on how OSHA can help staffing firms and host employers better understand their responsibilities for ensuring the safety of temporary workers. During this webinar, OSHA Senior Industrial Hygienist Sven Rundman will discuss the hazard communication standard, and responsibilities for providing hazard communication information and training. For more information and to register, visit the webinar website. By this evening, authorities still had not recovered the body of the man believed to have been killed in the blaze, Josh Helms, of Thibodaux. A raging pipeline fire in Paradis that erupted Thursday evening and sent flames high into the night sky, killing one worker dead and injuring two, was finally extinguished this morning. The fire ignited as workers were attempting to clean a section of natural gas pipeline with a device called a "pig." The accident also forced a temporary evacuation of nearby neighborhoods and temporary closure of adjacent streets and highways. Late this afternoon, La. 631, which roughly parallels U.S. 90 and is known locally as Old Spanish Trail, was reopened. It had been closed between La. 635 and La. 306 since the incident. By this evening, authorities still had not recovered the body of the man believed to have been killed in the blaze, Josh Helms, of Thibodaux. Helms, a veteran pipeline worker, was employed by Phillips 66, which owns the pipeline. Family members declined to speak with a reporter. One of the injured workers remains hospitalized in Baton Rouge, though he is expected to make a full recovery. His condition was upgraded Sunday from fair to good. While officials have not identified that man, WWL-TV reported that his name is Desmond Calloway. The fire began when six workers -- three employed by Phillips 66 and three by Blanchard Contractors -- were trying to clean out a section of pipeline, officials said. Oil and gas companies routinely send pieces of equipment called "pigs" down the line to keep it clear. To launch a pig, crews typically burn off the fuel in the pipe, then seal off the section so it can be depressurized. Then they load the pig, seal the pipe back up and open the valve, allowing the liquefied natural gas to push the equipment through. It's not clear what went wrong in last week's operation. The state Department of Natural Resources and the federal Occupational Safety and Health Administration are both investigating. The pipeline, built in 1958, runs 86.6 miles between Venice and Paradis. It caught fire several years ago when it was struck by a boat in a bayou near the border between Jefferson and Lafourche parishes. Steven Giambrone, director of the state Department of Natural Resources' pipeline safety program, said the pipeline's operators haven't incurred any violation notices since the DNR began filing records electronically in 2008. Phillips 66 recently purchased the pipeline from Chevron. The dousing of the fire Monday morning was expected to allow the St. Charles Parish Coroner's Office to begin its investigation into Helms' death, officials said. A message left with the Coroner's Office was not returned. Meanwhile, environmentalists who have been lobbying against the proposed Bayou Bridge pipeline across south Louisiana held a news conference Monday morning, saying the Paradis fire demonstrated the danger of oil and gas infrastructure not just to the environment at large, but to the workers who must build and maintain it. The event was held outside the state Department of Environmental Quality's offices in Baton Rouge. Regulators have said there is a substantial difference between natural gas lines, such as the one in Paradis, and crude oil lines, like Bayou Bridge. Natural gas travels through pressurized pipes and is much more volatile than oil, which mostly poses the danger of possible leaks into waterways. AASHE Award Winner Free Webinars - starting today! Please mark your calendars for these upcoming AASHE webinars. AASHE webinars are free for everyone and video recordings and presentation materials are available for AASHE members in the webinar archive at any time. The AASHE Award Winner webinar series of 2017 will take a deeper look into the winning submissions from the 2016 AASHE Sustainability Awards. In an effort to share best practices and nuanced strategies of what makes these institutions and individuals winners, each webinar will look more closely at the approaches used to effect institutional change, demonstrate student leadership, or advance campus sustainability research. For more information and to register please visit: http://www.aashe.org/events/webinars/2017/AASHE-2017-Award-Winner-Webinar-Series-1. For more information and to register please visit: http://www.aashe.org/events/webinars/2017/AASHE-2017-Award-Winner-Webinar-Series-2. For more information and to register please visit: http://www.aashe.org/events/webinars/2017/AASHE-2017-Award-Winner-Webinar-Series-3. ExtremeTech:Every now and then, the universe hands you a story on a silver platter, served with a whopping huge side of situational irony. On Wednesday, 19 fire engines and 110 firemen reported to a fire at Samsung SDI's Chinese manufacturing facility in Tianjin. The fire was put out without widespread damage to the plant, which mostly remained on a normal manufacturing schedule. As for where the fire started and what caused it, there's some confusion in that regard. According to Samsung SDI spokesperson Shin Yong-doo, the fire began in a part of the facility used for waste and faulty batteries — and, of course, the Samsung SDI subsidiary in China was responsible for manufacturing many of the batteries in the Note 7 that failed under stress. There's no indication that it was actually Note 7 batteries, specifically, that caused the failure — but the Wuqing branch of the Tianjin fire department had a rather different explanation for what had happened. According to them (and Reuters) the "material that caught fire was lithium batteries inside the production workshops and some half-finished products." If that's true, it implies some other problem at the plant — which may be precisely why Samsung SDI put the blame on the recycling division. Former Note 7 owners working at the factory reported that the odor was nostalgic with a hint of cancer. A fire at a Samsung plant actively involved in recycling Note 7 batteries isn't good, but it can be spun in an encouraging way. First, it can be argued to represent objective proof that no, these batteries were dangerous and Samsung's recall was the right thing to do. Perhaps more importantly, investors don't really care if the parts of your plant involved in waste management and recycling catch fire (not unless you're a recycling plant, anyway, in which case that's bad). Acknowledging that a fire began in the area of the plant dedicated to producing batteries for upcoming Samsung products, on the other hand… well. There's this little device you've probably heard of, called the Galaxy S8, and Samsung is hoping it'll prove very popular, washing out the melted-phone-and-charred-house odor of the Galaxy Note 7. A fire at one of its facilities dedicated to producing smartphone batteries in particular, at a subsidiary already blamed for the Note 7 recall is a bad way to accomplish that goal. There is as yet no sign that Samsung's Note 7 fiasco has hit the company's popularity or appeal, but that's the kind of problem you don't keep provoking. Having screwed the pooch on the Note 7, Samsung will be dead-set on ensuring the same thing doesn't happen to the Galaxy S8. One bad product is a fluke. Two are typically a sign that something is badly wrong in your manufacturing division. EPA is extending the comment period for two proposed rules on Trichloroethylene (TCE), a toxic chemical with human health concerns identified by EPA in a 2014 risk assessment. EPA proposed these rules in December and January to ban certain uses of the chemical in aerosol degreasing, as a spot cleaner in dry cleaning facilities, and in commercial vapor degreasing. The comment period for the proposed ban on TCE as an aerosol degreaser and for spot cleaning in dry cleaning facilities is extended to March 16. The comment period for the proposed ban on TCE as a commercial vapor degreaser is extended to April 19. EPA- The first annual report on risk evaluations as required under the amended TSCA. U.S. Chemical Safety Board – A three-person investigative team from the U.S. Chemical Safety Board (CSB) is deploying to the scene of an incident that killed three workers and reportedly injured seven on Wednesday, February 8 at the Packaging Corporation of America (PCA) plant in DeRidder, Louisiana. According to initial reports, the explosion took place while contractors performed welding on a tank during a facility shut down. The explosion was powerful enough to cause the tank to fly and land in a different area of the plant. Welding is one of several types of "hot work" – or spark-producing operations - that can ignite fires or explosions. Most hot work incidents result in the ignition of combustible materials or the ignition of structures or debris near the hot work. "The CSB has investigated many hot work accidents across the country, including a 2008 explosion that killed three workers at a different PCA plant in Tomahawk, Wisconsin." said Chairperson Vanessa Sutherland. "Hot work incidents are one of the most common causes of worker deaths we see at the CSB, but also one of the most readily preventable." Following the deadly 2008 explosion at the PCA plant in Wisconsin, the CSB issued a safety bulletin on the hazards of welding and other hot work entitled "Seven Key Lessons to Prevent Worker Deaths during Hot Work In and Around Tanks." The agency also released a safety video called "Dangers of Hot Work," which presents the findings from that bulletin. Chairperson Sutherland said, "The CSB continues to be concerned about the frequency of dangerous hot work incidents and has added safe hot work practices to the agency's Drivers of Critical Chemical Safety Change Program, a list of key chemical safety advocacy initiatives." The CSB is an independent federal agency whose mission is to drive chemical safety change through independent investigations to protect people and the environment. The agency's board members are appointed by the President and confirmed by the Senate. CSB investigations look into all aspects of chemical incidents, including physical causes such as equipment failure as well as inadequacies in regulations, industry standards, and safety management systems. ​IBtimes: Authorities said there was no 'nuclear risk' following the explosion at 10am local time. Under current law, the Federal Communications Commission (FCC) has the authority to levy penalties and criminal fines against individuals who use fake information about a caller's identification to defraud or harm another. S. 134 would expand that authority to include the use of text messages and would apply the authority to violators outside of the United States if the recipient is within the United States. The bill also would direct the FCC to develop consumer education materials that provide information for consumers on identifying fraudulent caller activities. Finally, S. 134 would direct the Government Accountability Office (GAO) to conduct a study on actions taken by the FCC to combat the provision of inaccurate caller information and to identify additional steps that could be taken by the agency. S. 102 would direct the Federal Communications Commission (FCC) to study ways to enhance access to telecommunications services during emergencies when mobile service is unavailable. The bill also would redefine the term "essential service provider" to explicitly include certain telecommunication mediums, such as Internet and cable services, in a list of entities that provide essential services. (Providers of essential services are generally provided access to disaster sites in order to restore and repair services during emergency situations.) Finally, S. 102 would direct the Government Accountability Office (GAO) to study ways the federal government could increase the resiliency of essential communication services during emergencies. safetec - On January 30, President Trump signed an executive order entitled "Reducing Regulation and Controlling Regulatory Costs," which targets the reduction of the number of regulations issued by the federal government. The order requires federal agencies to eliminate two regulations for each new one introduced. Trump has been quoted in saying, "There will be regulation, there will be control, but it will be a normalized control where you can open your business and expand your business very easily." The executive order specifies that new regulations issued by the federal government in 2017 "…shall be no greater than zero." For many of us Health and Safety professionals who rely on OSHA's Hazard Communication Standard (HazCom) for guidance in creating mandated written hazard communication programs, employee training and understanding, we are scratching our heads and asking, "What does this reduction in regulations mean for our industry?" There are questions around how this change will affect OSHA's funding. A decrease may require OSHA to review how its funds are spent. Will that limit its enforcement activities or staffing? While fines generated through enforcement are substantial, one could still assume there might be a reduction in this area, especially targeting small businesses. Regardless, we should not allow any reduction of enforcement to diminish our obligation to ensure chemical safety in the workplace. Michael Best & Friedrich LLP: On February 6, 2017, the U.S. Environmental Protection Agency (EPA) approved Wisconsin's Multi-Discharger Variance (MDV) for Total Phosphorous. The MDV establishes an additional and less-costly compliance option for eligible point sources seeking relief from burdensome phosphorous discharge limitations. The EPA's approval of the MDV will last for a period of 10 years, but may be extended if the Wisconsin Department of Natural Resources (WDNR) requests and receives an extension. In a draft version of its MDV Justification submission for the EPA, WDNR indicated that an extension will likely be necessary. In 2010, the WDNR promulgated rules creating a phosphorous standard intended to reduce the amount of phosphorous entering the state's watersheds. Following approval by the EPA, those rules became the federally enforceable water quality standard upon which discharge limits for point sources are calculated. Complying with the new discharge standards proved to be an exceedingly difficult challenge, and many facilities sought approval for individual variances. As the number of facilities seeking variances increased, the state sought to streamline the process, which resulted in the development and passage of 2013 Wis Act 378. Act 378, which became effective in 2014, directed the WDNR and the Wisconsin Department of Administration to investigate the costs associated with attaining the water quality standard for phosphorous and its impact on the state's economy. That study revealed that compliance with the phosphorous standard would result in "substantial and widespread adverse social and economic impacts to the state," prompting WDNR to request EPA approval for this MDV. These default limitations may be adjusted if attainment is not feasible. Moreover, every five years the WDNR will review these interim phosphorous limitations to determine whether they are consistent with the highest attainable condition for the point sources and categories of point sources that are eligible for the variance. A point source receiving an MDV must also implement a watershed improvement project to help reduce nonpoint source phosphorous pollution. These projects must include a binding, written agreement with either WDNR or other third parties to offset the amount of phosphorous by which the point source's discharge exceeds the target value. If a point source is located in a watershed for which a TMDL has been approved, its target value is the phosphorous discharge limitation included in its WPDES permit pursuant to the TMDL. If the point source is located in a watershed not subject to a TMDL, the target value is .02 mg/L. Alternatively, a point source may elect to pay its county Land Conservation Department $50 per pound of phosphorous discharged in excess of the target value. The per pound payment will be adjusted annually in proportion to any changes in the U.S. consumer price index for urban consumers. However, the per pound payment in effect when the permit is issued will apply for the full permit term. Further information will be provided at a webinar hosted by the DNR, scheduled for 11 a.m. CDT on Monday, February 27, 2017. ​Question: How significant are the risks to drinking tea from China from heavy metals? Help design a fantastic conference agenda by submitting your educational programming proposals for the 2017 National Brownfields Training Conference. Submit an abstract for a Brownfields 2017 session or presentation using our online submission form at www.brownfields2017.org. Please submit your session ideas on-line before March 17, 2017. We invite you to submit your ideas for dynamic educational sessions that encourage conversation and participation from your fellow attendees. A great Brownfields 2017 educational program will motivate brownfields stakeholders to engage, learn, and share their experiences and knowledge of community revitalization challenges and solutions. The next National Brownfields Training Conference will be in Pittsburgh, Pennsylvania, December 5 -7, 2017. In addition to our regular conference programming, we will hold pre-conference workshops on December 4. TOXMAP beta now includes the Toxics Release Inventory (TRI) 2015 National Analysis data. TOXMAP maps the TRI chemicals reported to the Environmental Protection Agency (EPA), as required by the Emergency Planning and Community Right to Know Act (EPCRA). A complete list of TRI chemicals required to be reported to the EPA can be found on their website. Given the far-reaching effects and potential destruction of a natural or man-made chemical, biological, radiological, or nuclear incident, preparedness at national levels is an international concern. If an incident of this nature were to occur, a country's response within the first 24 to 48 hours is the most likely window to contain the danger and save lives. The complexity, uncertainty, and unexpectedness of these incidents make advance coordination crucial. The U.S. Department of State's Office of Weapons of Mass Destruction Terrorism coordinates the United States government's efforts to help partner nations around the globe confront challenges like these efficiently and effectively. Working with the Department of Defense's Defense Threat Reduction Agency and other U.S. federal agencies, we facilitate the delivery of a range of training programs and exercises designed to strengthen response authorities, plans, and procedures. On average, we support 10 to 12 events per year. These initiatives improve our response capabilities as well as the capabilitiesof our partner countries, advancing international security. Kenya is one such partner. Last month, experts from the U.S. Departments of State, Defense, and the Commonwealth of Massachusetts – Kenya's National Guard State Partner – conducted Exercise "Nairobi Treasure" with key Kenyan ministries. This tabletop exercise builds on a long history of cooperation between the United States and military and civilian chemical, biological, radiological, or nuclear first responders in Kenya. The exercise offered a hypothetical incident to Kenyan ministries and agencies, giving them the opportunity to hone their roles and responsibilities. Designed to stimulate discussion, the exercise required participants to examine and resolve problems based on existing response plans, then to identify areas in which those plans needed to be refined. Kenyan participants included officials from several ministries, military units and civilian national response organizations. Broad participation in this exercise demonstrates Kenya's firm commitment to developing civilian and military first response capabilities, furthering the country's role as a regional leader in this field. "Nairobi Treasure" enabled the Government of Kenya to exercise and strengthen the tools it has in place to respond to chemical, biological, radiological, or nuclear incidents. nal partners to help ensure the safety and security of their citizens.